First, though I know it will likely not reach them – my condolences to the Williams’ family. My grief is poignant, I can only imagine your sorrow. My thoughts and prayers go to you. My first experience with Robin Williams was in my living room watching Mork and Mindy, it fast became my favorite TV show and He instantly became my favorite actor. I was thrilled when I learned that he was not only a comedic actor, but a very serious actor as well – and brilliant. I hated seeing him play a bad guy, well… because he did such an excellent job, I hated seeing my beloved funny guy in that role. This list I got from IMDb. Though I must admit that I haven’t seen everything that He’s participated in, what I have seen has repeatedly proven the versatility of the man he was. I always have been and still am in awe of this great man. 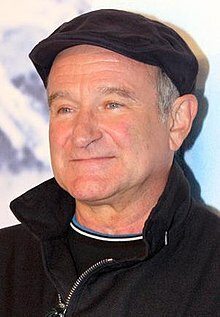 From Robin Williams, I learned that it’s okay to make fun of life, good or bad; most importantly, I learned that you didn’t have to grow up to be an adult.